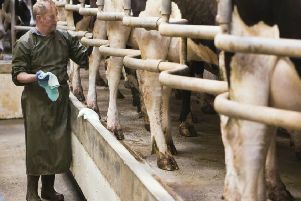 International Trade Secretary Liam Fox has announced that a new deal with China could be worth almost £250m over the next five years to the UK dairy industry. Mr Fox, who is currently on a trade mission to the country, told BBC Radio Ulster that Lakeland, which processes milk from north and south of the border, could be one of the main beneficiaries of the deal. Speaking from Bejing Mr Fox described it as a major deal for UK dairy which could also bring benefits for Northern Ireland. He said the deal would help companies that source milk south of the border.